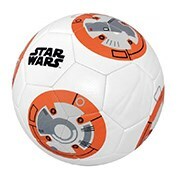 Nicknamed the “World’s game”, Soccer is a popular form of football that is played all over the world. Now with the increasing popularity of the growing A-League system, Australians are playing the non-contact sport now more than ever. We have expanded our online sporting catalogue by providing a high quality range, just for you. Our expansion of the range of equipment has grown extensively. With the addition of our brand new products in stock, your ball playing skills will improve tenfold. 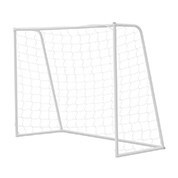 Products such as our soccer balls and portable shooting nets are some of the new items that we have made available online. Our range of portable practice nets have expanded, and are amazingly versatile. These flexible sports training nets are made from high quality mesh netting. These features make the net a great way to perfect your kicking accuracy and have a surface that can handle those powerful oncoming kicks. For more information about the products mentioned above or any products listed in our range, please feel free to contact us using the online enquiry form. With thousands of products in our online store, we have assorted them by price, brand and popularity or customer convenience. Some of the products in the online store are available with free shipping throughout Australia, check our amazing catalogue of products today!